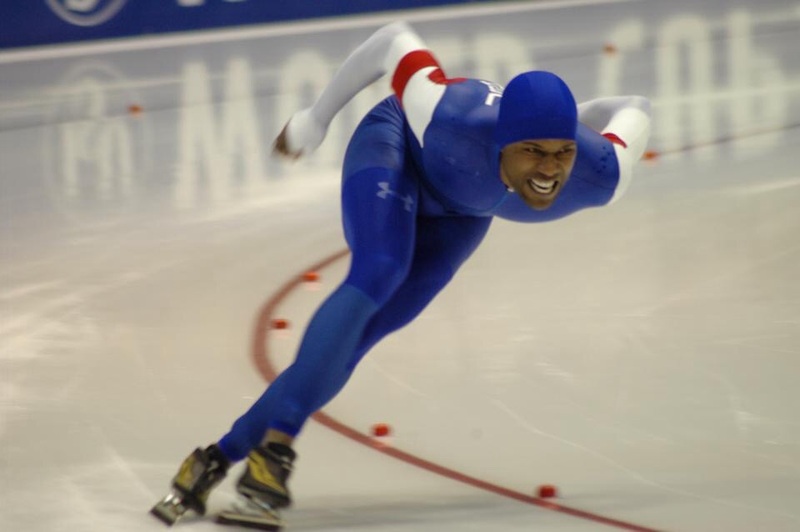 Shani Davis skated to yet another top-10 finish in the first World Cup event of the new year. Racing at the hallowed Vikingskipet oval, site of the 1994 Olympic Winter Games, Shani finished seventh at 1500m in 1:46.80. Russian Denis Yuskov (1:45.07) was the latest 1500m winner in a WC season notable for its parity: there have been four different winners in five races and nine men have reached the podium, including Shani. Davis, a three-time 1500m World Champion, remains tied with Norway’s Adne Soendral for most career 1500m WC wins (18), and he continues to hold the 1500m World Record (1:41.04) that he established in 2009. Shani also kept himself within striking distance of the podium in the Overall 1500m season standings, just six points out of third and 30 points from second. The World Cup season concludes March 21-22 in Erfurt, Germany. Shani now heads to The Netherlands where he’ll try to crack the 1000m podium for the first time this season at a sprint World Cup Feb. 7 & 8, followed by the World Single Distance Championships Feb. 14-15.